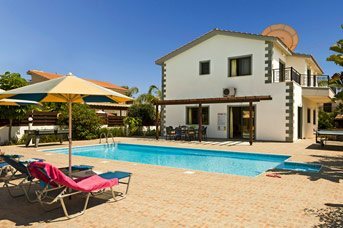 Coral Bay is the largest resort we cater for in Cyprus, with most of the villas being centrally located. The main Strip has a good choice of bars, restaurants and cafes so you’ll not run out of places to eat and drink. If you’re after traditional cuisine, head to the nearby village of Peyia and dine like a local! Of course, the popular beaches here are a hotspot amongst holidaymakers, with smaller beaches like Corallia making for a great place to top up your holiday tan. 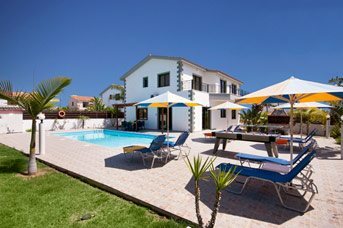 This resort ticks so many boxes, so you can experience what it has to offer or just simply laze around by your private swimming pool – what’s not to love? The main Strip of Coral Bay has a few supermarkets for your daily essentials. There are also shops selling clothes, designer spectacles, jewellery and souvenirs. If you’re after some serious retail therapy, Kato Paphos (the harbour area) and the Paphos Old Town have a bigger selection. In the old town, you can find a partially covered market where farmers and retailers sell all kinds of goods, from fresh produce and fish to lace, leather and therapeutic olive oil products. It's worth a visit on a Saturday morning when the locals are around if you like the hustle and bustle. There are many bars and restaurants in Coral Bay. 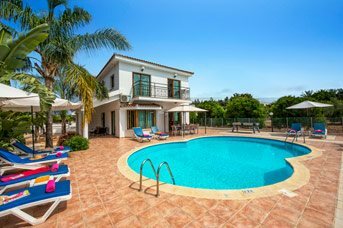 Some are within a couple of minutes' walk or drive from your holiday villa, where you can enjoy a meal or drink overlooking the sea. The main strip is home to a good number of bars and cafes, where you can sit and have a refreshing drink while watching the world go by. Peyia village is a 10-minute drive away from here, too, and has a few authentic local tavernas with scrumptious Cypriot meze for you to taste! 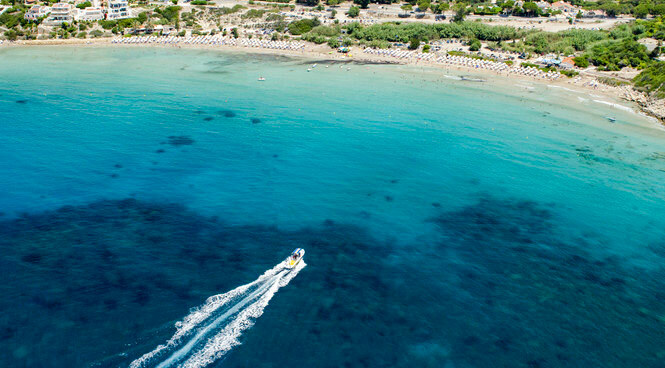 The Blue Flag Beach of Coral Bay is exceptionally popular with water sports fans. Corallia Beach is a smaller alternative, but still holds many of the same charms of Coral Bay. If you wish to go further afield, explore the rugged coastline of Latchi and Polis, which is about a 25-minute drive away. 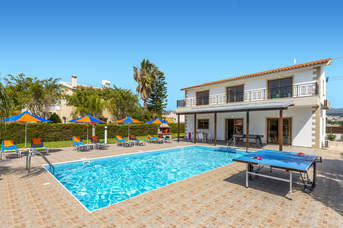 Coral Bay resort is a great place to stay for family fun. The crazy golf is just off the main strip and is complete with a children's play area. Alternatively, Paphos Zoo makes for a fun-filled day out, or take a ride to Paphos Harbour, where you have a choice of boat trips which will take you along the coastline. Don’t forget your camera! 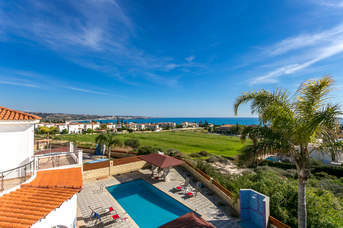 The entire town of Paphos is a UNESCO World Heritage Site and is just a short drive away from Coral Bay. 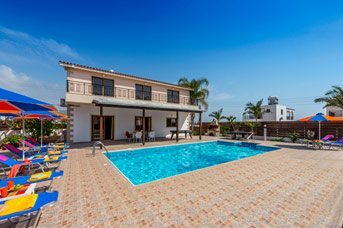 It has a charming town where you can find numerous archaeological sites, like Paphos Castle, various mosaics and the Tombs of the Kings. Otherwise, the Baths of Aphrodite, found in Latchi, is a natural grotto where the goddess of love is said to have bathed – it’s well worth a visit.